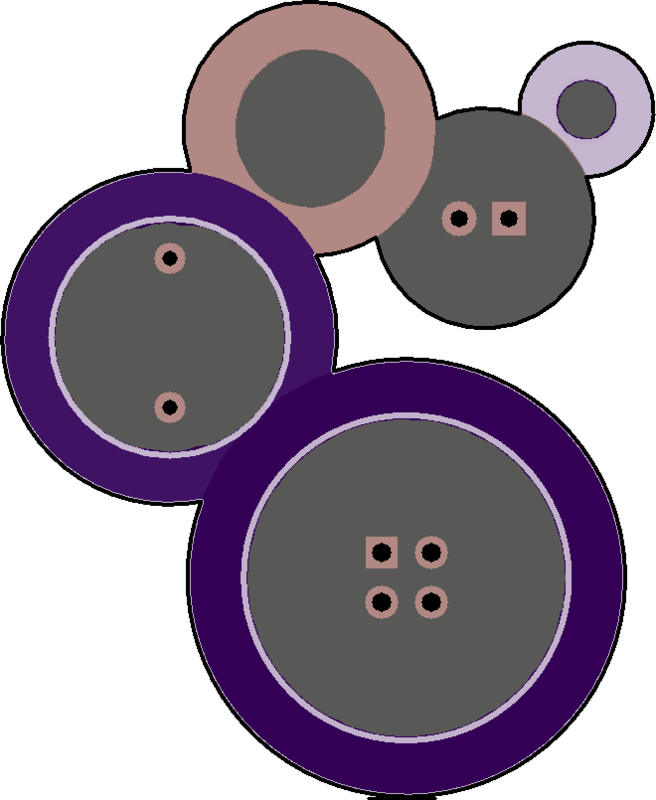 2 layer board of 1.32 x 1.61 inches (33.5 x 40.9 mm). Uploaded: September 7th, 2018 00:42. 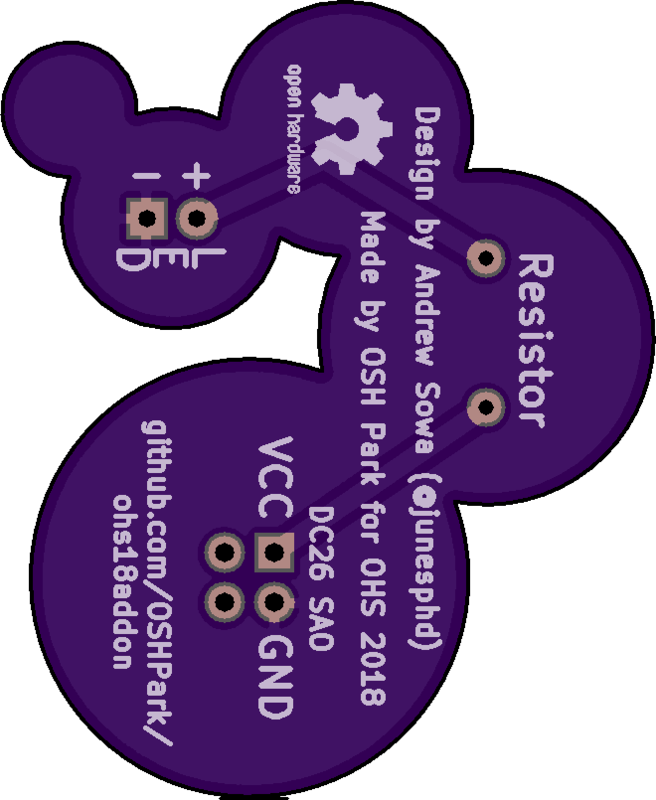 OSHWA-themed Learn to Solder add-on board designed by Andrew Sowa for the Open Hardware Summit 2018 badge. Visit the badge project page for more information. 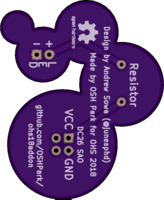 NOTE: Resistor value should be chosen based on personal preference for brightness. I found the LED to be too bright with 470 Ohm while inside my apartment with indoor lighting. I preferred to make the LED dimmer with 1K Ohm. NOTE: it is much cheaper to buy 2 pin headers, use two of these 2 pin headers per Add-on board to yield a 4 pin header.